The big spring bloom had slowed down here in Davis as we move quickly towards summer. Many of the bloomers from May continue at a reduced level of bloom, such as the cranesbill. But shastas abound and the plumbago I am training up into the banksia arch have begun to pick up the slack. I love the look of the onion seed heads...they remind me of all the lovely alliums in Chicago at Spring Fling and cause me to wonder where I could squeeze in a few ornamental alliums. Zucchini and other summer veggies are beginning to bloom...it won't be long before we get to enjoy their offerings! The wisteria continues with it's sporadic summer bloom, here mixing with blooming star jasmine on the entrance arch to the side yard. I love this Bat-Faced Cuphea that I first saw on Annie's blog The Transplantable Rose. That was one of those "I need one of those" moments since at the time one of the child care children was a bat fanatic. Agapanthus Baby Pete is a new favorite of mine...so cute and well-behaved at the front of the border. Salvia Mulberry Jam is a bit bigger every year and is beginning to be a nice size plant. Someone should work on a bit of pruning though to help her be less scraggly. Check out other bloom lists by visiting our esteemed leader Carol, at May Dreams Gardens. See what's blooming today around the world! I garden all the time...if not actually caring for my garden then thinking about it, planning for future projects and pondering past successes and mistakes. But Carol at May Dreams Gardens asked the question "When did you start gardening?" and it prompted me to try to remember. 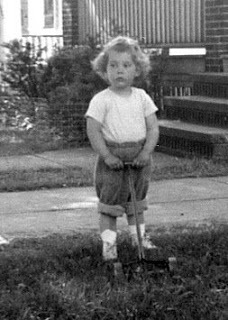 I've always gardened, even as a child, and have had my own garden since I was in college. Some of my best childhood memories are of helping my parents in our yard, planting and eating peas, cucumbers, and radishes. I grew zinnias and would feel like I was given a big honor when I was allowed to prune the honeysuckle arbor. My maternal grandfather and my paternal grandmother both had large vegetable gardens. They preserved food and my grandfather even made wine from his own grapes. These things all taught me that there was value in gardening. But I learned most of the nuts and bolts (seeds and bulbs?) of gardening from years of trial and error, years of reading every type of garden writing I could find, and the Sunset Garden Book. Somewhere along the way I realized I needed to work in the garden in order to keep my sanity…for me the mental health benefits are right up there with the edible and physical benefits. I don’t remember ever not wanting to dig in the earth or care for at least a few houseplants when I lived in apartments with no patio. I feel very fortunate that I have access to the activity I love right outside my door! I love plums. The Santa Rosa plum tree was one of the first things we planted when we bought our home (along with the wisteria). For almost 29 years I have enjoyed several weeks of fresh plums right off the tree each June. I even have a special plum tradition and this week marked the beginning of plum season in my garden. Yes, earlier this week I picked a plum, polished it up and sat down to enjoy this year's first yummy, juicy taste. Now that I've held the inaugural event I am able to share the crop...the kids ate quite a few for lunch today. It is important to hit the ground running as far as plum eating goes...once they begin to ripen you can be inundated quickly. Don't hoard the harvest! No matter, you will never keep up. Luckily, the crop is usually cyclical, bearing heavily one year and lighter the next. This is a light year and I'm happy for that since I still have frozen plum puree in the freezer and a dozen jars of jam in the cupboard. At a certain point we start offering bags of plums to the parents and when my assistant's tree starts ripening we'll hold their kids hostage unless they take a bag. Well, maybe not quite, but the season is short and intense and it seems such a shame to waste such a great summer fruit. We'll finish them up just in time to start eating peaches from my generous neighbor's tree. While I was gone to Chicago for Spring Fling a few changes occurred in the garden that almost compensate for the long awaited weekend being gone in a flash. First off, the plums have begun to show color! I hold that one of the most scrumptious (to use one of my granddaughter's favorite words) things to eat straight from the garden is the first Santa Rosa plum of the year. Also the second, third and so forth until about the thirtieth at which point they just become tasty. So now I'll be on plum watch although with the cool weather we seem to be having this week it will be a while before I can have my plum experience. The first Shasta daisies opened while I was gone. This always seems to mean summer to me...once they have begun to bloom summer is not far behind. And , lastly, several of the summer veggies have begun to flower including tomatoes, peppers and this Eight Ball squash. Spring Fling may be over but summer will soon provide compensation enough. The kids showed up for child care today and it almost made the weekend seem like a dream. Last Friday at 6:30 AM I took off for Chicago, arriving there at 2 PM. Why would anyone fly over 2000 miles just for the weekend? 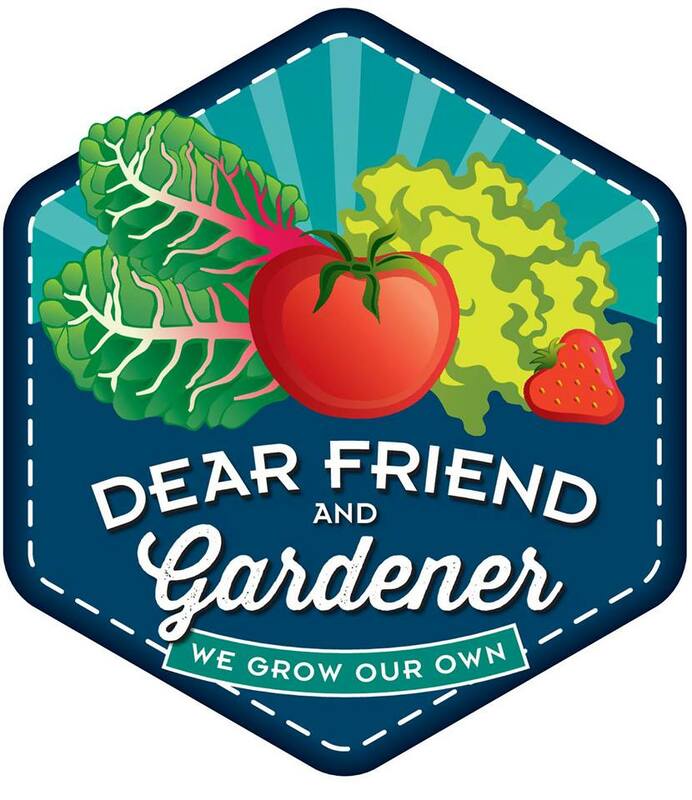 I wanted to meet other garden bloggers, whom I have only known through their written words. The chance to get to meet them was too great a temptation to resist, so for only about the 5th time in 26 years I closed the child care Friday to give myself what was most definitely a whirlwind weekend! I arrived too late for the beginning events but visited 5 different gardens ranging from the private garden of television chef Rick Bayless to the beautiful Lurie Garden in Millennium Park to Ginko Organic Gardens, a community production garden that serves Uptown area homeless and low-income people. We also were welcomed by Carolyn Gail of Sweet Home and Garden Chicago and I have been coveting the idea of her rain chain ever since! The Garfield Park Conservatory was a wonderful maze of rooms including the Fern Room, Palm House, Desert House and more. Cindy of My Corner Of Katy and I enjoyed seeing "greenhouse" plants that we grow outside...a nice example of the different climates in which we all garden. But enough of the garden talk! I love a good garden visit as much as the next plantaholic but my main interest was to visit gardeners. I know I will read many of my favorite blogs with a changed ear now that I've heard the literal voices of their writers. I've long enjoyed hearing authors of my favorite books speak for that same reason...you get to know the cadence and tone of their voice and how you approach their work changes. I'm excited to see how this works out in the coming days...and I'm excited to add new blogs to my Google Reader. 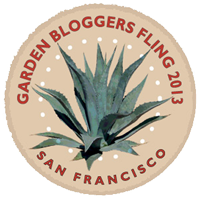 The garden blogging world is expanding so much that it's difficult to keep up. But there are several blogs that will be going on the reader because I so enjoyed meeting their authors this weekend...authors whose literal voices I now know. I only wish it had been possible to meet more of the bloggers but I suppose then I'd never catch up on my reading! Here I am with some of the bloggers whose voices I now know...Elizabeth of Gardening While Intoxicated and Garden Rant, Carol of May Dreams Gardens and Cindy of My Corner Of Katy. The top photo is one of an orchid in the Orchid Room that Rose of Ramble On Rose wanted to photograph just as her battery went dead...maybe this will suffice.